First gained a following by posting covers of pop songs by artists such as Austin Mahone and Justin Bieber to his YouTube channel, oftentimes alongside his older sister Darian. In 2016, he began to post original songs to YouTube, including "Let Go," which has received more than 10 million views. He started making videos when he was 8 years old and Darian was 13. He and Darian have created videos for original songs titled "Summertime," "Replay," and "Never Give Up." 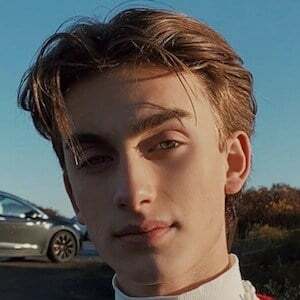 He has over 2.3 million subscribers to his main YouTube channel as well as over one million subscribers to his vlogging channel, Johnny Orlando Vlogs. He was born in Mississauga, Ontario, Canada to Meredith and Dale Orlando. He has older sisters named Darian and Madison and a younger sister named Lauren. He collaborated with Mackenzie Ziegler on the 2016 song "Day & Night."